Is it really a new year if you don't do the odd round up post to show your faves from the previous year? I don't think so! I have plans for two favourite blogs, this one will be all about my favourite outfits that I shared on my blog in 2017. I didn't share anywhere near as many as I would have liked, particularly late in the year because of my operation, but hopefully 2018 will be much more fashion themed! So, here's my fave looks that I shared last year. One of the few 'work wear' looks I've ever done, and a real outfit I wear regularly! 2017 reignited my love of skirts, and got me into shirts, something I had never really worn before. I've worn this look or a variation on it so many times since I first photographed it! Quite possibly my favourite outfit of all time! This mesh dress is my absolute go-to for nights out. I damaged the hem recently and desperately got my Nanna to fix it because I am obsessed with this dress. Lace and mesh and a harness, it's a perfect 'me' outfit. Being plus size often means settling for things that aren't quite your style, this look is 100% Kitty with no settling at all. It's me, truly. 2017 was also the year I fell in love with oversized, relatively shapeless pieces. It's one of those things that plus size bodies are told to simultaneously wear to hide their shape, and never wear because it doesn't give the illusion of shape. Bare legs, a comfy dress, and a cameo from my pooch, can't go wrong. 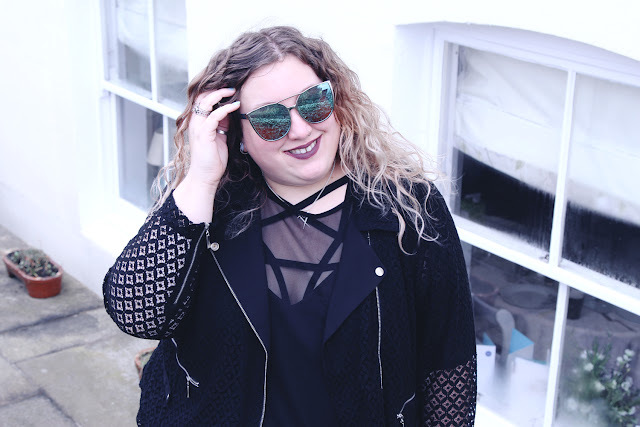 I could easily have included basically every outfit I wore last year that featured Navabi, but this grunge inspired look is my fave. 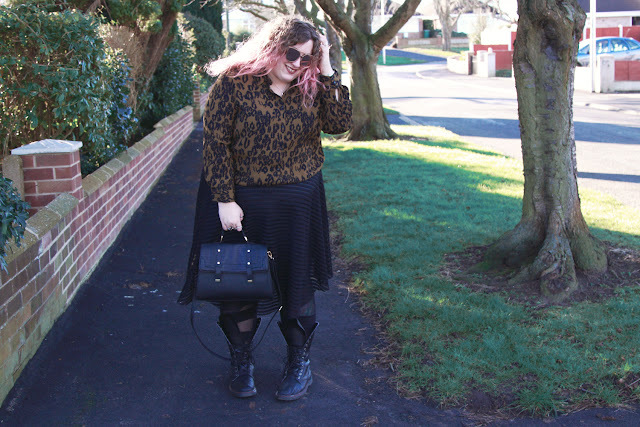 Glittery boots and a dress that matches my hair, love! 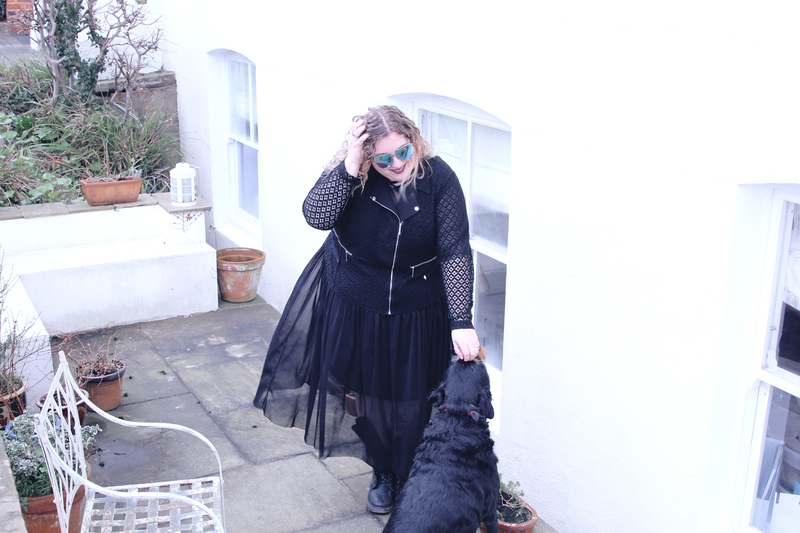 Navabi are my stand out brand of 2017 for so many reasons (but that's a whole other post) and this dress is one of many reasons why. 2017 was a year of skirts and dresses for me, what items did you fall in love with? As always Kitty, you rocked 2017. Now onto 2018- I wanna see even more stunning outfits! :-) My fave has to be the last shirt dress- lovely colours!